Singer Barbra Steisand told the New York Times Monday that the stress from Donald Trump's presidency was making her fat. The Grammy Award-winning diva has long been a politically active Democrat, supporting Hillary Clinton for president and even going as far to say the 2016 election was rigged. "I really believe she won the election," Streisand told Variety in February. "I’ve talked to senators from Michigan and Wisconsin. I do believe, like I believed during Bush, they were playing with those voter machines." 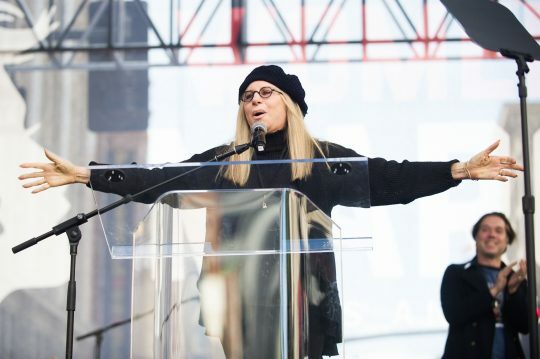 But Streisand's newest album is the first to incorporate her politics into her music in a major way. "I would lie awake at night with Trump’s outrages running through my head, and I had to do another album for Columbia Records, so I thought, why not make an album about what’s on my mind?" she told the Times. "I want to sleep nights," she continued, "if we take the House [of Representatives] I’ll be able to sleep a little bit better." "And if [Democrats] don’t?" reporter Maggie Haberman asked. "Don’t know," Streisand responded. "I’ve been thinking about, do I want to move to Canada? I don’t know. I’m just so saddened by this thing happening to our country. It’s making me fat. I hear what he said now, and I have to go eat pancakes now, and pancakes are very fattening. We make them with healthy flour, though — almond flour, coconut flour." Streisand has made similar observations before, also tweeting in 2017 that Donald Trump made her eat pancakes.